3) full-length MCAT practice tests followed by strategic study. Success often involves combining resources from different, reputable sources as well as multimedia. Now you can choose the combination of MCAT prep tools that is best for your learning style. 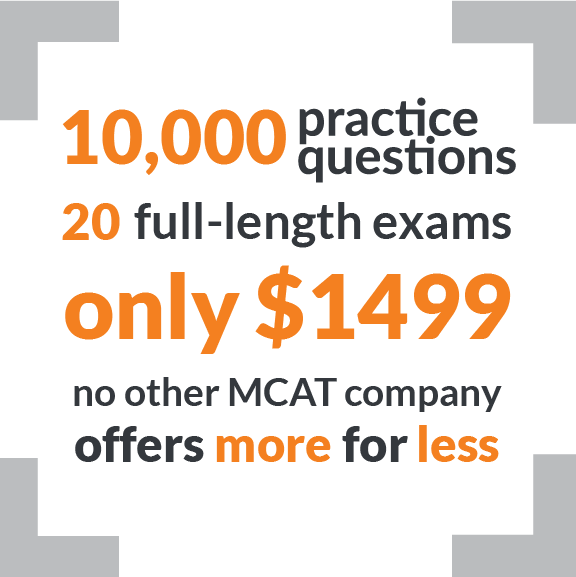 MCAT-prep.com has over 25 years of experience helping students prepare for MCAT success. Combine the best MCAT preparation tools to optimize your MCAT score. 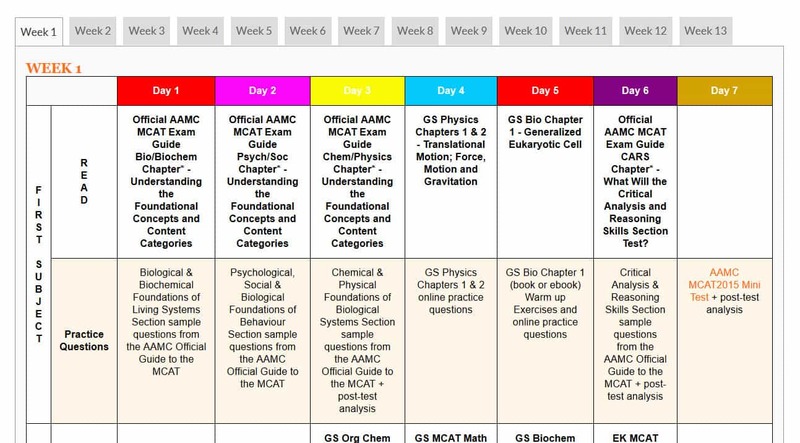 Note: all practice exams are full-length tests except for the GS Free MCAT Practice Test. Some MCAT exams include unlimited exam attempts within your access period while others have 'start' limits. Save with us! Buy all your MCAT prep materials with us and take advantage of lower prices: We buy in bulk so that we can pass the savings on to you! Click here for more information about the AAMC*, the MCAT score guarantee**, and the 1 year*** access period. **Get the score you want or repeat online access to Gold Standard content FREE for six more months. Even if your score improves, if you don’t reach your goal and intend to try again, access will be extended without charge. ***Each of the AAMC practice materials allows unlimited 'starts' with an access period of 15 months. ****Next Step and Examkrackers access is for 6 months and will be provided when you are ready to begin full-length testing, to ensure you have maximum time to access your additional practice exams. Next Step tests come with 20 single-user exam attempts. Gold Standard and Examkrackers’ tests come with unlimited single-user exam submissions and corrections during your access period. "The breadth of content and difficulty of questions that Gold Standard MCAT uses is outstanding. I can′t tell you how many times I found my areas of weakness while using these tests." "I used GS' MCAT 2015 practice tests and found them very helpful, particularly the thorough solutions for all questions. The tests covered all section topics and specifically highlight the AAMC topic clause covered in each question so I knew the questions were well thought out to best emulate what would show up on the test. The GS tests emulated my actual test closer than any other test company's products I used. I performed well on my first attempt and have Gold Standard to thank for my success." "I can now finally say that Gold Standard works. I received my MCAT scores, and scored slightly higher than I had been scoring on the Gold Standard exams. Dr. Ferdinand does a great job summing up everything an MCAT examinee needs to have nailed in order to do well on the exam. I'm glad to have taken part in your study program." "If you're interested in specialized training for a particular section of the MCAT test, MCAT-Prep.com is one of the best options in the industry." "I want to whole heartedly thank Gold Standard for the amazing MCAT Prep. I was really grateful for Gold Standard's awesome resources. In particular, the practice tests are really good for strengthening your knowledge of the material and for helping you figure out timing. If you can finish a Gold Standard MCAT with 5 minutes to spare, you can finish any MCAT with plenty of time. Again, I would like to thank Gold Standard from the bottom of my heart, as I think they were truly one of the most useful resources in my studying, particularly in PS!"